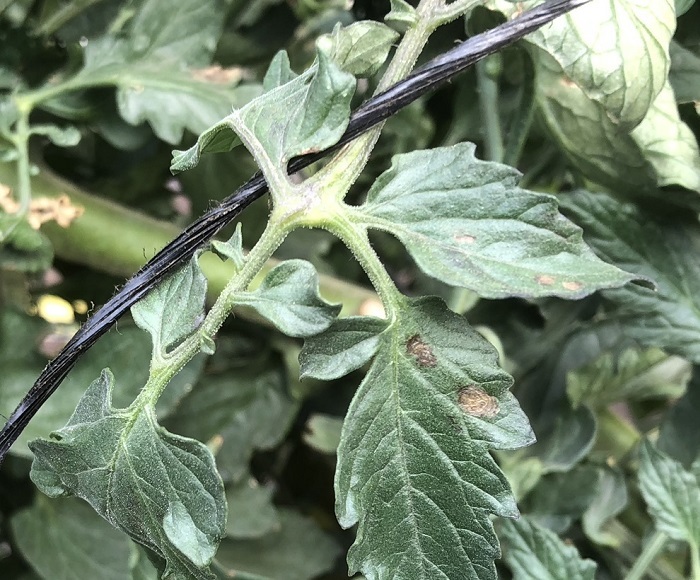 Early blight is a common tomato disease, which can result in significant economic losses. 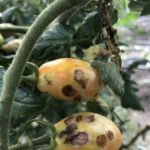 It is caused by the fungi Alternaria solani or Alternaria tomatophila. The disease favors warm temperatures of 24-29 C and high humidity. It may occur at any time during the growth cycle of the tomato crop. Conidia (spores of the fungus) germinate in the presence of a film of water over tomato leaves. The pathogen, Alternaria fungi, can overwinter in soil and in plant debris. It spreads with water splashes from soil, running water, wind, tools and machinery. 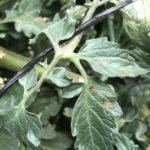 The disease more severe when tomato plants are stressed by lack of water, nutrients or pests. Leaves – first symptoms appear on lower leaves as brown irregular or round spots. At first spots are small, but as the disease progresses, they enlarge and reach a size of 1.5cm. Concentric, target-like circles develop inside the spots and they become surrounded by a yellow halo. Symptoms spread throughout the plant and affect upper leaves, stem and fruit. Heavy defoliation of lower leaves may occur. This exposes the fruit to sunscald. Defoliation might result in 30-50% yield loss. Stem – Symptoms on stems appear as brown lesions with dark concentric rings. On seedlings, symptoms appear just above the soil line. Fruit – Symptoms may appear on ripen or immature fruit. Symptoms appear on the fruit, near the stem. Infected fruits show dark lesions with concentric rings. Use 3-4 years crop rotation with non-solanaceous crops. Since early blight is a soilborne disease, crop rotation can help in reducing the pathogen level. Use drip irrigation instead of overhead irrigation helps in keeping the foliage dry. Select resistant varieties that are less susceptible to early blight. 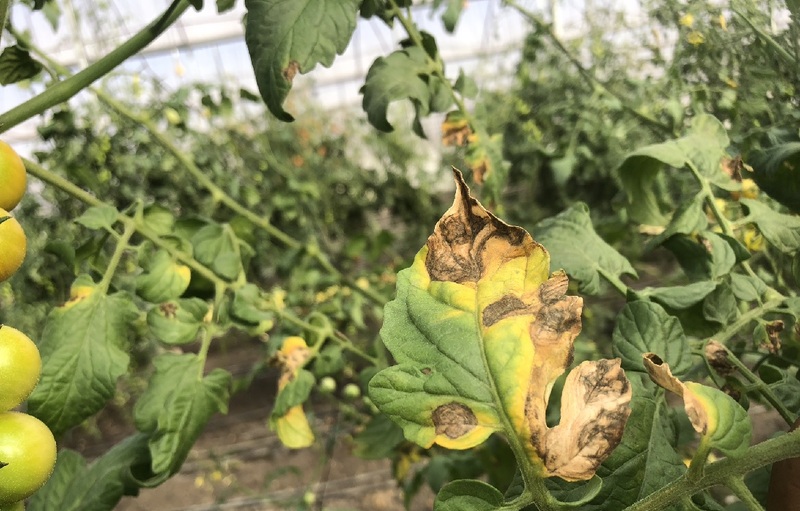 Early detection of early blight is important to reduce the severity of the disease and allows to take additional measures before the disease spreads. 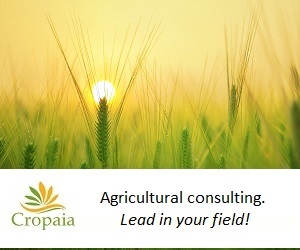 Therefore, knowing the initial symptoms and preforming regular scouting of the plants is essential. 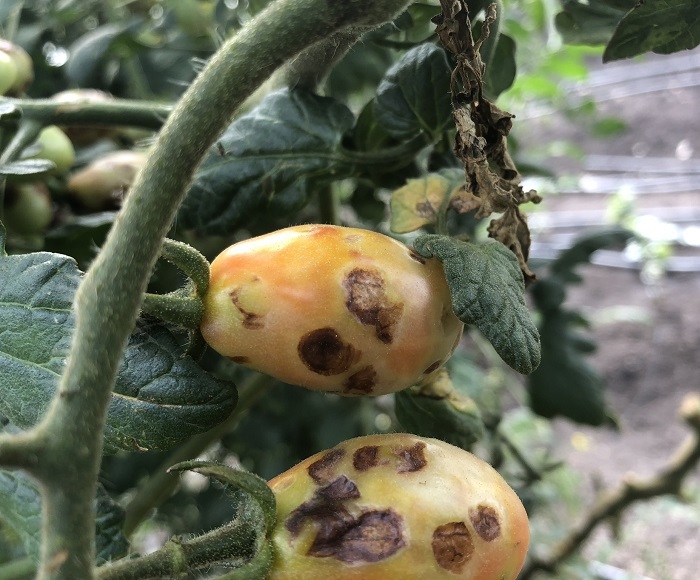 Digital tools, that are available today, can help in predicting the conditions to the disease development and in identifying early blight correctly. 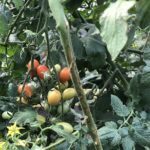 Destroy diseased plants immediately after harvest. Remove solanaceous weeds that might be alternative hosts for Alternaria. For example, Datura spp. (Jimsonweed), Solanum carolinense (horse nettle) and Solanum ptycanthum (black nightshade). 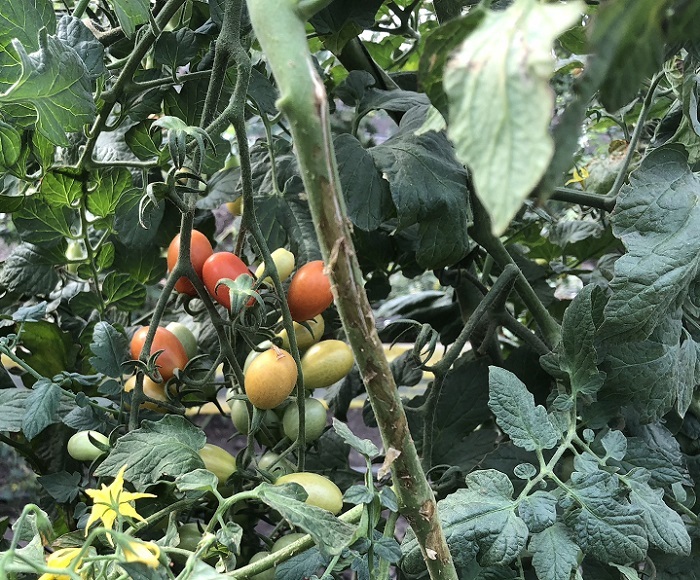 Preventative spray – if weather conditions favor early blight, a preventative spray program is recommended, starting after transplant at 7 to 10-day interval. Control spray program – a variety of fungicides are effective for control of early blight. The most common fungicides that are used for control of early blight include Mancozeb, Maneb, Chlorothalonil, difenoconazole and copper oxychloride.